These properties are antifungal, analgesic, antidepressant & antiseptic and make a unique oil. Citronella has been proved effective for rapid recovery after a cold or a fever, to reduce fever, cramps, bloating and joint pain and help in proper digestion of children. This plant has long been used in Chinese medicine. Citral is the major component of lemongrass, which gives it a fresh scent of lemon and repels insects. Citronella is beneficial to fight against coughs, colds and fever. However, it is also beneficial for our health in many ways. Read on to learn more about the health benefits provided by lemongrass. Studies show that citronella helps relieve stomach discomfort and helps reduce the pain of toothaches and sprains. Lemongrass also displays antibacterial and antifungal activity, therefore, removes the worms. Citronella can also be applied to sprains to facilitate healing. 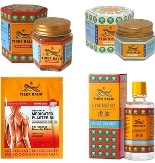 To enjoy the benefits of lemongrass, prepare a liniment. This can be done by cutting four ounces of leaves and roots of lemongrass and boil, with oil of fresh coconut. Citronella can also be used to hunt insects, particularly mosquitoes. We can achieve this effect by placing the crushed leaves in strategic places in the home including windowsills. Excellent remedy for skin. Among the many benefits of lemongrass, there is one that treats skin problems. Because it has great astringent properties, lemongrass helps to fight against the excessive production of sebum and thus can limit acne. In addition, citronella is effective as a tonic for the skin because it dilates blood vessels naturally, tightening pores and wrinkles. Emotional well-being The properties of citronella can also create a sense of emotional well-being, because it is important to have in this rapidly changing world. The citrus scent is great relaxing agent and acts as a tranquilizer that can settle on stress, anxiety and even depression. A massage using lemongrass can be very therapeutic and calming for a tired body with sore muscles.